Utilizing existing technology and sustainably housing humans in space is a seemingly futuristic concept that already has its wheels in motion today. Space company Tasha9503 is designing hotels to put into low Earth orbit (LEO) using used rocketry and the available technology of today. Orbital colonization as the next step for humanity was discussed in the recent Space Safety article, Living in Space. Exploration is in our nature and settling amongst the stars inside orbital habitats is a method through which this can be achieved. Constant human presence in space has already been established through the International Space Station (ISS) — which has housed humans continually ever since its first crew in 2000. This powerhouse of scientific research is the product of international cooperation between 15 nations and is a powerful testament to our potential in space. By unlocking this potential capability to work together both on and off of our home planet has been demonstrated — and in turn gives rise to a plethora of new orbital habitat concepts that may one day become a reality. An artist’s impression of Tasha9503’s space hotel (Credits: Tasha9503). In order to live in space sustainably, cost needs to be low and reusability must be a key component. This will allow maximum utility to be gained from the grand endeavour. One such concept that focuses on reusing existing components is HotelsInSpace by Tasha9503 — which aims to put great numbers of people in space at a low cost. The company will build spaceships from specially designed used rockets, which are capable of lifting 6 satellite payloads and up to 200 paying customers. This ambitious plan arose after the founder Trevor Cooper heard somebody mention that they would like a spaceship in which their children could mine smelt forge at the Asteroid Belt, manufacture living accommodations on site, whilst continuing to study the cosmos. And so, HotelsInSpace was born. 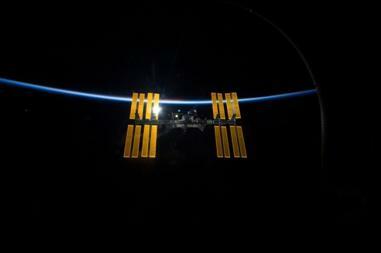 The International Space Station orbits majestically as the first permanent human outpost in space Credits: NASA). In an attempt to open up space travel and space tourism to the general public, Tasha9503 is offering a destination in LEO for the cost of one million US dollars per week. In 2005, they drew up a redesign of the ‘Saturn V’ rocket so that upon arrival in LEO, it could be easily reconfigured and attached to five other redesigned rockets, forming a 72 until hotel. The company has estimated that 500,000 people investing $25 per week are required in order to have the first hotel in space within seven years. Once in orbit, this hotel in space will be open for business to rent as holiday resorts. The vision of Tasha9503 extends past sustainable living in Earth orbit. Additional hotels will be built, which cannot land but are capable of taking people on away missions to any orbit within our solar system. With destinations such as the Asteroid Belt, Earth’s Moon, Mars, Saturn, Jupiter, and Venus in mind — Tasha9503 dreams big and intends to use the magic of engineering to bring these to life. 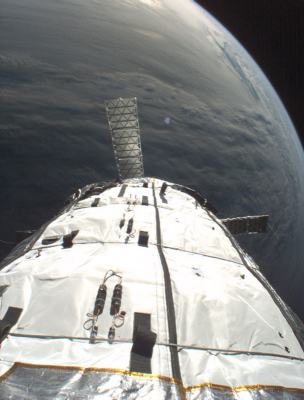 Another secondary goal is to help to clean up the existing space junk. 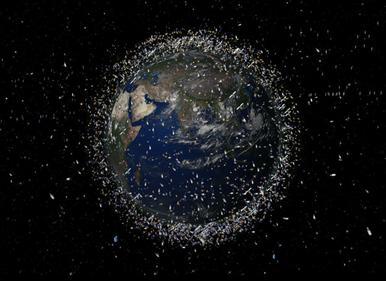 Activities in space currently add to the space debris issue that our planet is facing. Littered above our heads are the remnants of the past 60 years of human space activities. A wonderful achievement, yet it comes with a responsibility to protect our planet. Comprised of defunct satellites and spent rocket stages — explosion and fragmentation of this debris further exacerbates the problem. The Earth is surrounded by a halo of space debris (Credits: ESA). 72 units within each spaceship, as well as private funding. 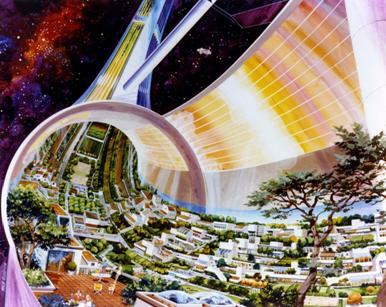 The Stanford Torus, one of the several orbital habitat designs proposed by Gerard O’Neill (Credits: Rick Guidice/NASA Ames Research Center). The concept of living in space sustainably is not a new one and Tasha9503 is certainly not the only player in this space arena. Space habitats in LEO have been conjectured for years. In the 1970s, Princeton physicist Gerard O’Neill demonstrated that orbital space colonies were physically possible, attractive places to live, and may make economic sense. Now, private companies and nations are developing methods by which this can be achieved. Companies such as SpaceX are building cheaper rockets, and have sustainability at the forefront of their design process. Bigelow Aerospace’s first operational spacecraft Genesis I was a tremendous success (Credits: Bigelow Aerospace). Bigelow Aerospace plans to greatly increase the usable space of the ISS at a fraction of the cost. 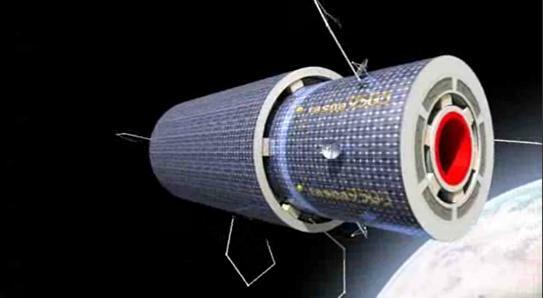 Established in 1999, Bigelow spacecraft utilizes expandable or ‘inflatable’ structures and space systems. By redesigning initial NASA inflatable space habitat designs, the company launched the world’s first expandable space habitat prototypes with the Genesis program’s Genesis I in 2006. Tasha9503 hopes to one day wrap the outer surface of each hotel with a layer of Bigelow’s inflatable structures. Such cooperation is essential in order to achieve greatness as a species, as demonstrated brilliantly by the ISS. Orbital colonization is a stepping stone to Mars and eventually interstellar spaceflight. Building an oasis in space may help to save our species in case of a catastrophic disaster on Earth, or will be a way to gain orbital perspective on vacation from our busy lives on Earth. Either way, it is a demonstration of our human intelligence and capability. The research that we conduct today will form the foundation of Earth’s home away from home of tomorrow.